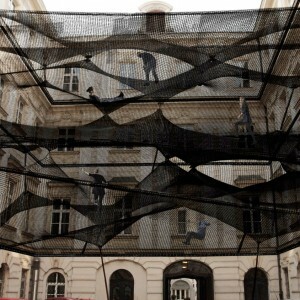 Net consists of multiple layers of flexible nets suspended in the air. 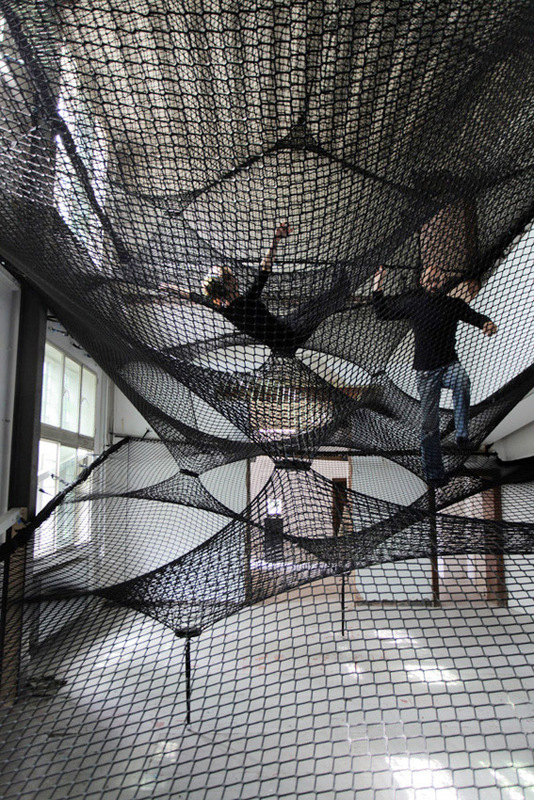 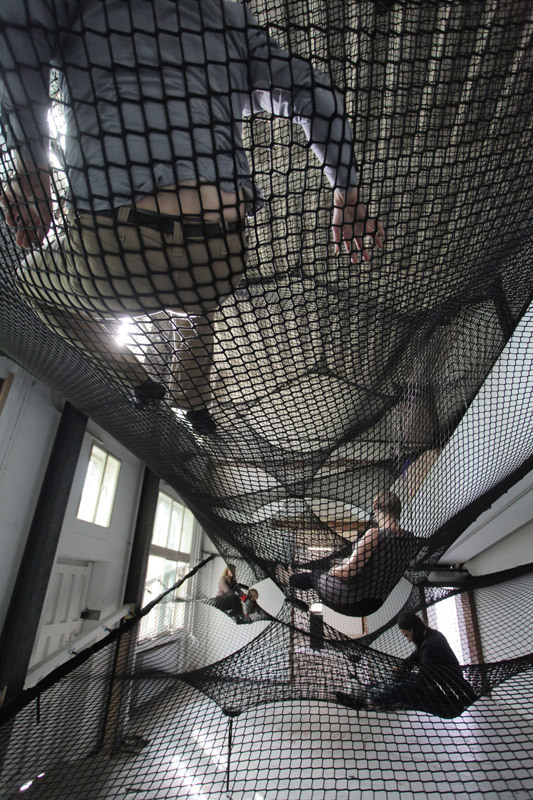 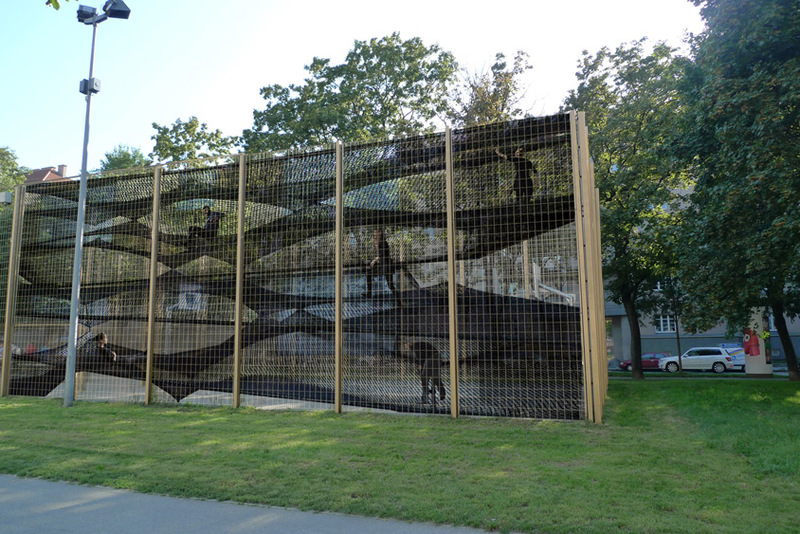 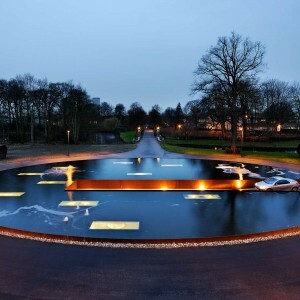 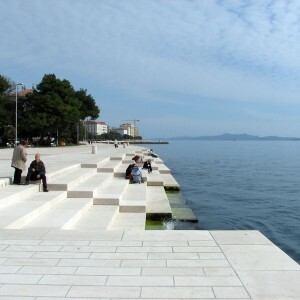 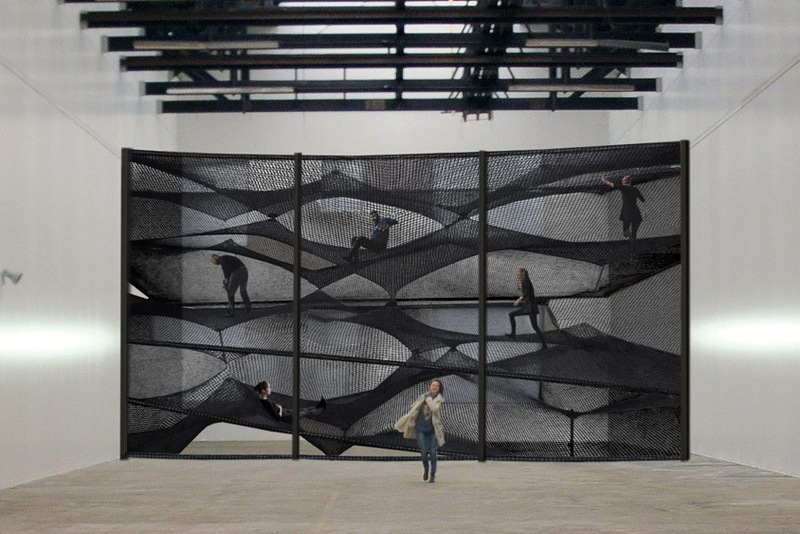 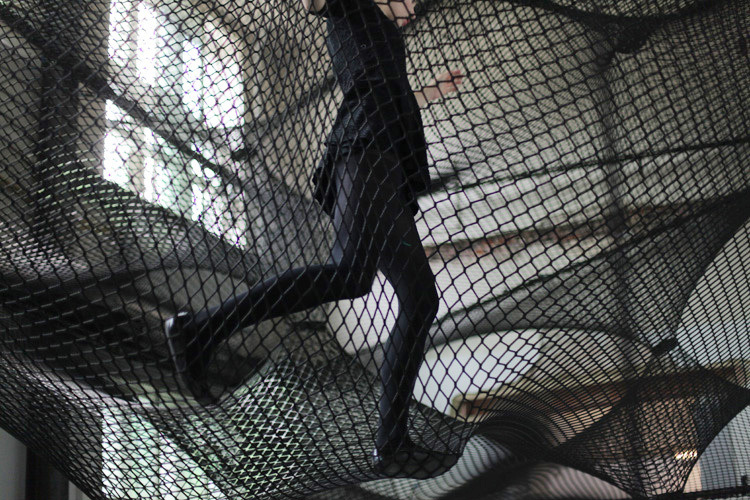 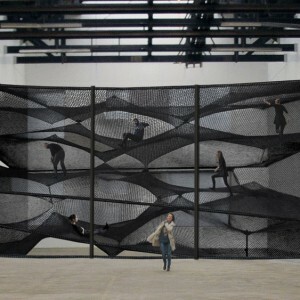 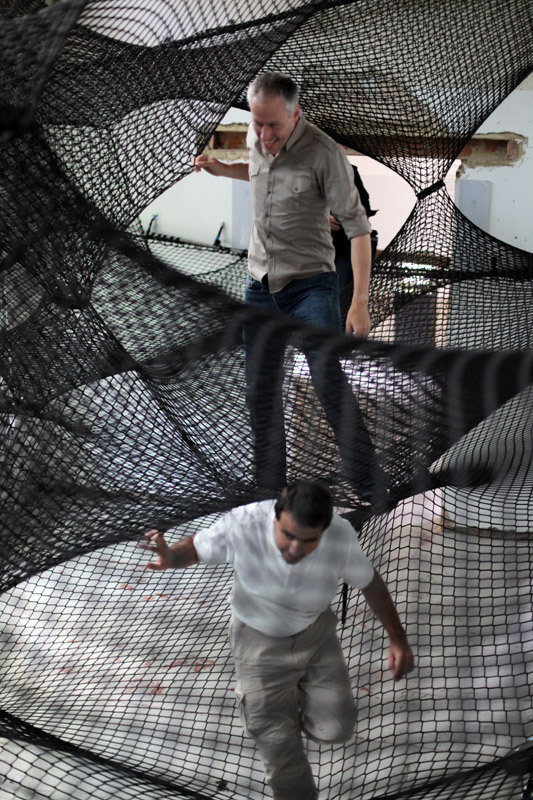 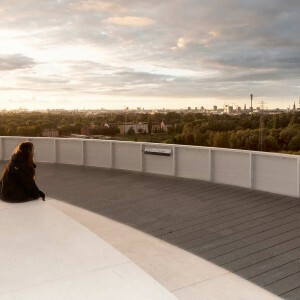 The flat layers of the net are subsequently connected to one another on counterpoints thus forming a “floating landscape” open for visitors to climb in and explore. 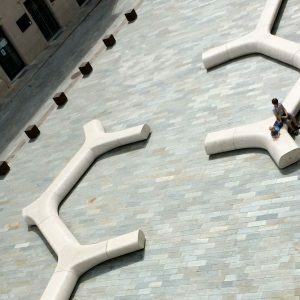 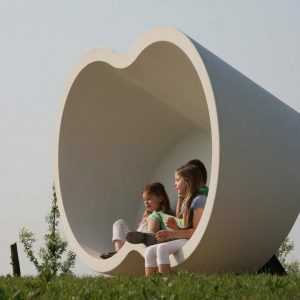 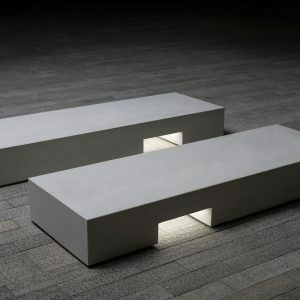 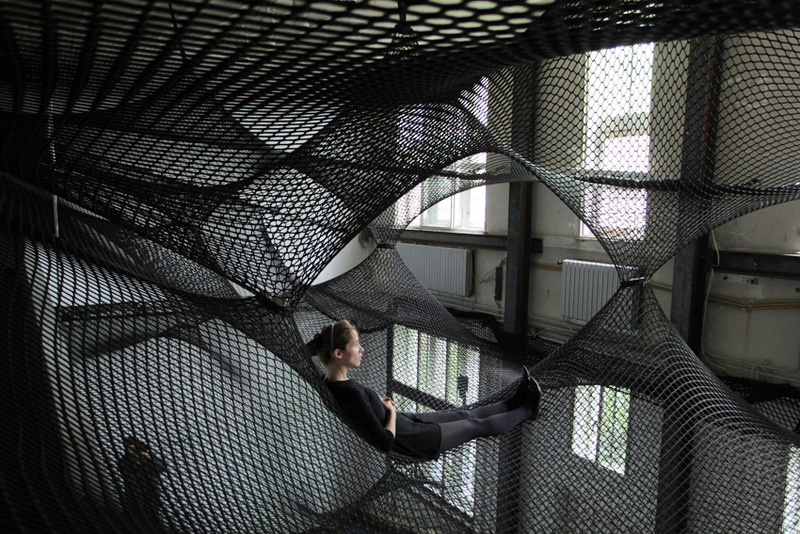 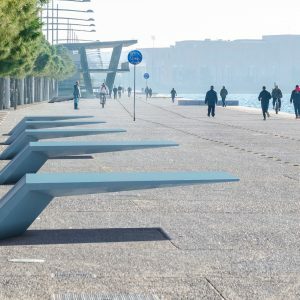 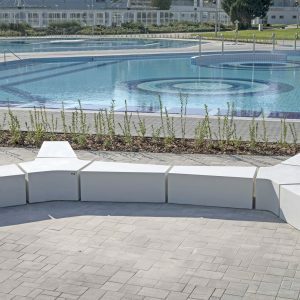 The result is an op-art social sculpture (or a community hammock) relating to topics of instability, levitation and regression.